Fun & Sun is your sea guide in the Visayas and in Coron, Philippines! Whether you are going on a trip with the divers, adventurers or just plain enthusiasts, we are always ready to give you the vacation or dive adventure you deserve! Fun & Sun has been in the diving industry since 1985, run by a professional team comprised of licensed diving instructors/dive masters, boatmen and friendly staff who accommodate you with the best care and service. 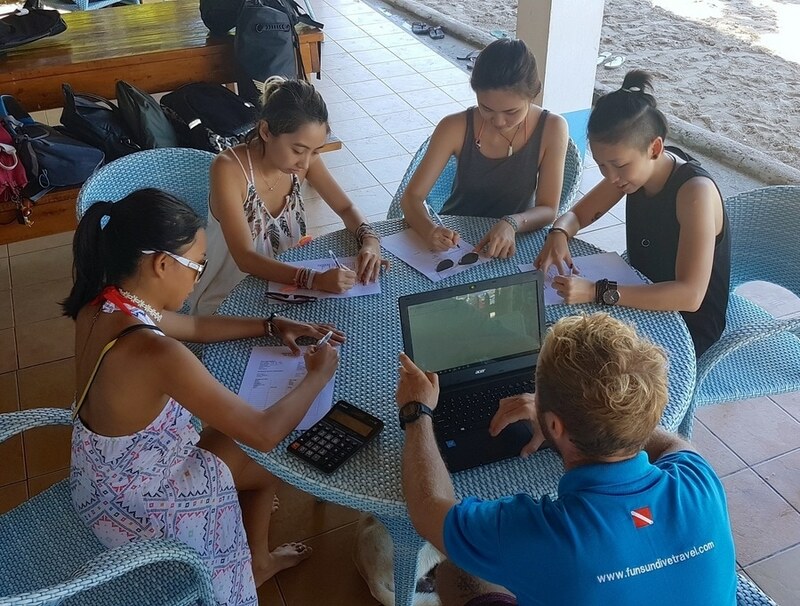 Being one of the leading dive teams in Cebu and the Philippines, Fun & Sun offers the best courses for aspiring divers! Many foreign and local tourists enroll for lessons and receive certifications from our SSI and PADI open water courses. We offer the best in instructional diving programs, whether it’s purely for leisure or for professional certification! Aside from the diving courses, we have island hopping packages that would show you the beauty of Cebu and most of Central Visayas. As Palawan has the underground river (as well as the dive spots that show the wrecks from the WW II in Coron), Cebu is host to world-class island destinations, snorkeling spots, sandbars and open water sanctuaries that will surely take your breath away. Go on an island hopping adventure and return with unforgettable memories of island escapades and fun in the sun! The names says it all. Let Fun & Sun be your friendly guide in the Central Visayas and in Coron for the ultimate dive adventure or vacation getaway and escape from the pollution, stress and hectic life of the city. Allow us to be part of your memorable beach and sea experience! Fun & Sun is always at your service!